"TR" stands for Training Routine and on this course a person gains expertise in that very vital ingredient for both successful living and auditing: communication. As the most important part of the ARC triangle, communication is more important in auditing than the auditing technique used. Communication is what enables the auditor to help the preclear rid himself of his aberrations and regain his abilities. In life, communication is what enables one to perceive and deal with the world around him. Before L. Ron Hubbard’s researches into the subject, no one had isolated what the cycle of communication was, or its relationship to efforts to help man. But it is the essential element in any such effort, and so it is little wonder that earlier practices obtained no real or lasting results. 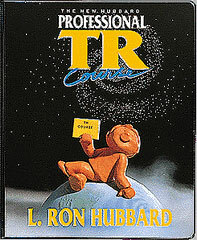 The Hubbard Professional TR Course contains L. Ron Hubbard’s discoveries about communication and teaches the skills needed to apply it effectively in life and in auditing. While the Success Through communication Course gives one skills for handling communication situations, the Professional TR Course enables one to audit and to handle any situation in life with communication alone. This is a higher-level skill. On the course, one studies the individual elements of communication and dissects the cycle of communication into each of its components, learning the principles of what communication is and how it is used. 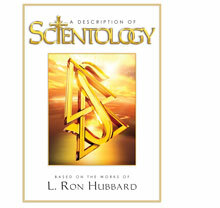 Technical training films written, directed and narrated by L. Ron Hubbard facilitate further understanding. The course even contains a set of very special auditing processes that students receive which gives them insight into some of the most basic laws in Scientology and lets them see how these apply to their lives and activities. Once the student has completed his theory studies and auditing, he begins drilling the Training Routines (TRs), each of which develops skill in a basic part of communication. The drills begin with teaching the student how to face another person comfortably, even with distractions, since one cannot communicate well if one is shy, nervous or unwilling to simply be there to communicate. On subsequent drills, one learns how to deliver a communication so it arrives exactly where one desires, to let another person know that he has been heard and understood, to get one’s questions answered (an important skill in living and a vital one in auditing) and to effectively handle what others say in order to maintain good communication with them. Each of these drills builds on the ones before it. Students pair up and progress through each of the drills, mastering one before going on to the next. In doing the drills, the students become aware of poor communication habits or patterns they may have previously developed and they learn to communicate effectively.